Cosmetics firm Lush has come top of a Which? customer service poll of the UK’s 100 biggest brands. Customer service can put a smile on your face but can make your blood boil, which is why we surveyed more than 3,000 customers to find out which firms are getting it right and wrong. 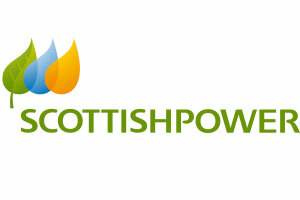 Energy firm Scottish Power came last, closely followed by fellow energy company Npower. Make sure you’re treated well by checking out the full list of the best and worst brands for customer service. Shoppers love handmade cosmetics firm Lush for its happy atmosphere and welcoming staff. It tops our table with a customer service score of 89%. In second place is bank First Direct with 86% while Lakeland came third with 84%. Good customer service really does make a difference – nearly nine in 10 people told us poor customer service puts them off using a brand again. Energy and telecoms firms dominate the bottom of the table. In last place was Scottish Power with 59%. It was joined in the bottom five by NPower (61%), BT (63%), Talk Talk (64%), Vodafone (66%) and Ryanair (66%). Find out more about the best and worst energy companies by looking at the results of our annual energy customer satisfaction survey. Friendly and helpful staff came out top of shoppers’ customer service likes, followed by good knowledge of the product or service and speed of service. But topping customers’ gripes was call centres not based in the UK, automated telephone systems and being passed around lots of different people. Hate being put on hold and want to deal with firms who have good call centres? Check out the best and worst call centres. We asked 3,501 members of the public for their views on the customer service of the UK’s biggest brands in May 2015. We picked the biggest firms from six different sectors according to market share and then asked the brands’ customer for their verdict.